Acer today announced the new Predator Triton 900 2-in-1 gaming notebook. The Predator Triton 900 is the world's first gaming convertible and features high-end specs that include a 17.3-inch 4K G-Sync display, a Core i7-8750H CPU, and the just announced laptop version of the NVIDIA GeForce RTX 2080. Acer has equipped the Predator Triton 900 with a 4th generation AeroBlade 3D cooling system to keep temperatures under control. 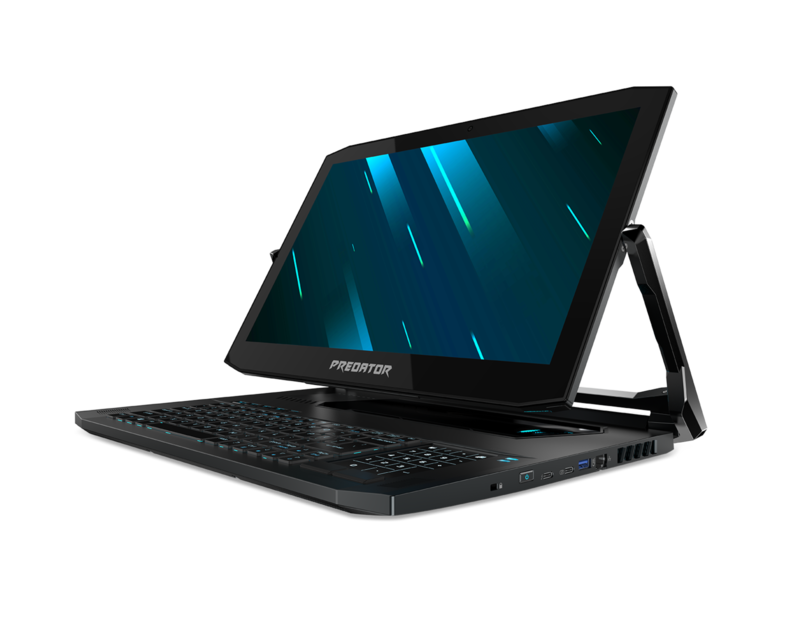 At IFA 2018, Acer showed us a sneak peak of the Predator Triton 900 — a one-of-a-kind convertible gaming notebook. 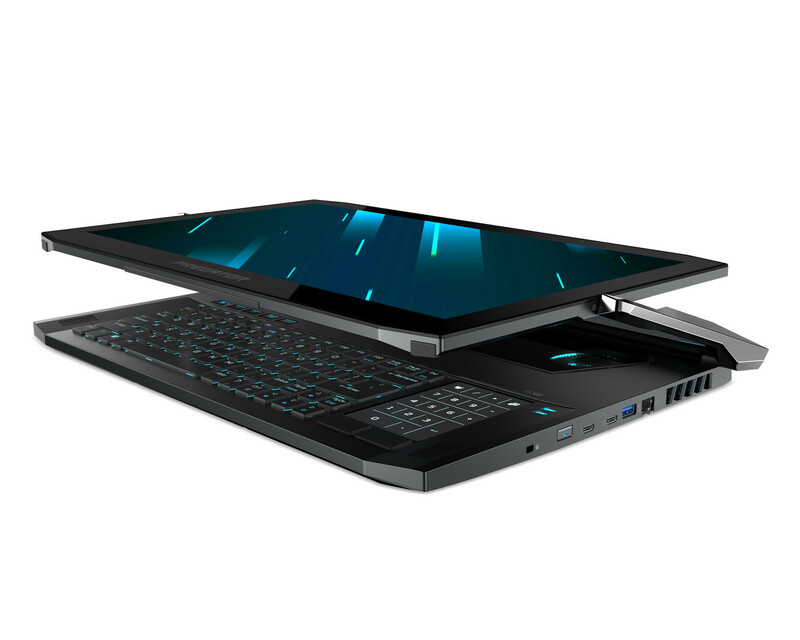 Back then, Acer remained mum about the specs of the device, but we did get to know that it will be sporting a mobile NVIDIA GeForce RTX GPU. 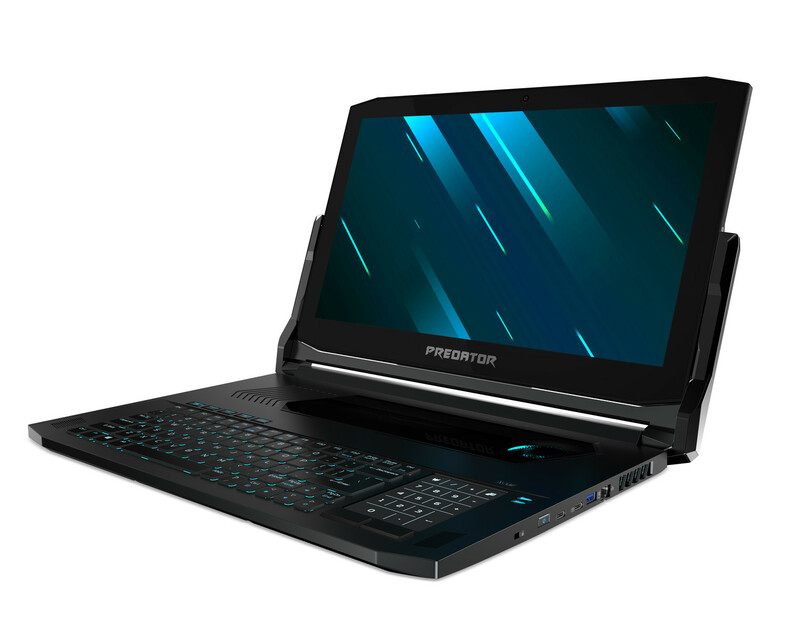 Now, at CES 2019, Acer has finally made the specs of the Predator Triton 900 official and suffice to say, this notebook packs quite a punch. The Acer Predator Triton 900 is surprisingly thin (0.94 inches) for the power under the hood. 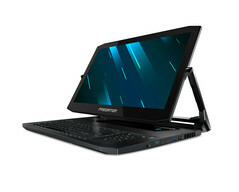 It is powered by the 8th generation Intel Core i7-8750H CPU, an NVIDIA GeForce RTX 2080 GPU, and can be configured with up to 32 GB of DDR4 RAM and NVMe RAID 0 SSDs. The powerful GPU helps drive the 17.3-inch 4K IPS G-Sync display so gamers should be in for a visual delight. The laptop also comes with a built-in Xbox wireless receiver that allows Windows 10 gamers to easily pair an Xbox wireless controller. The Triton 900 also features Waves Maxx audio that comes with a Waves Nx mode for an immersive 3D audio experience. Given the high-end components under the hood, Acer has developed an advanced cooling system that uses the new 4th generation AeroBlade 3D metal fans that should help in keeping temperatures under control even under load. 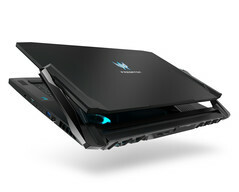 The Predator Triton 900 stands out from the sea of gaming notebooks with its unique convertible design. We're not sure whether lugging around a 17-inch tablet is practical for many, but Acer offers the option for those who want it. 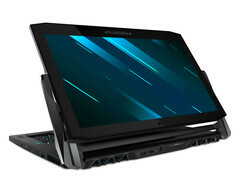 Acer says the Ezel Aero Hinge is CNC-machined and helps offer four usage modes: a Display mode for screen sharing, an Ezel mode for touchscreen gaming, a notebook mode for traditional gaming, and a stand mode for use as a tablet. The keyboard is placed far away from the screen and the trackpad on the right of the keyboard also doubles up as a touch numpad (sorry, left-handers). 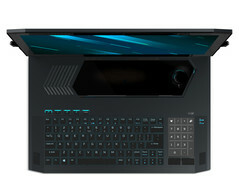 Acer is also offering a few new ways of controlling certain aspects of the Predator Triton 900. Later this year, a PredatorSense mobile app will be available for download that will allow users to change overclocking, fan speed settings, lighting, macro key assignments, and audio modes directly from a smartphone. For League of Legends fans, Acer also offers Predator RGB Assault — a smartphone app that shows pre-defined keyboard lighting effects that can be further customized as per the abilities of their champion. The Acer Predator Triton 900 is slated to be available from March in North America, EMEA, and China with prices starting at US$3,999, €4,199, and ¥39,999 respectively.